From Your Living Room to the Class Room, and Back Again. Nick Cordeiro founded Fiber Clean Carpet Cleaning in 1991. Over the years Nick has earned certifications in Carpet Cleaning, Upholstery and Fabric Cleaning, Odor Control, Water Damage Restoration as well as Stone, Masonry and Tile Cleaning. He’s also a past member of the board of directors of the New England Institute of Restoration and Cleaning Association. For a period of time Nick took a hiatus from carpet cleaning to engage his passion for teaching. But the calls for his services kept on coming, and eventually the time came to hang up the books and hits the rugs cleaning. 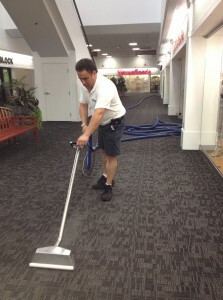 Of course, Fiber Clean is much more than a residential and commercial carpet cleaning business. We are also masters at cleaning. Additional services include water damage restoration along with pet odor and stain removal. Short, sweet, and to the point. And speaking of “sweet,” just wait until you see the kind of cleaning job we can do in your home or place of business. Fiber Clean. Choose us once, and we’re confident you’ll choose us again.